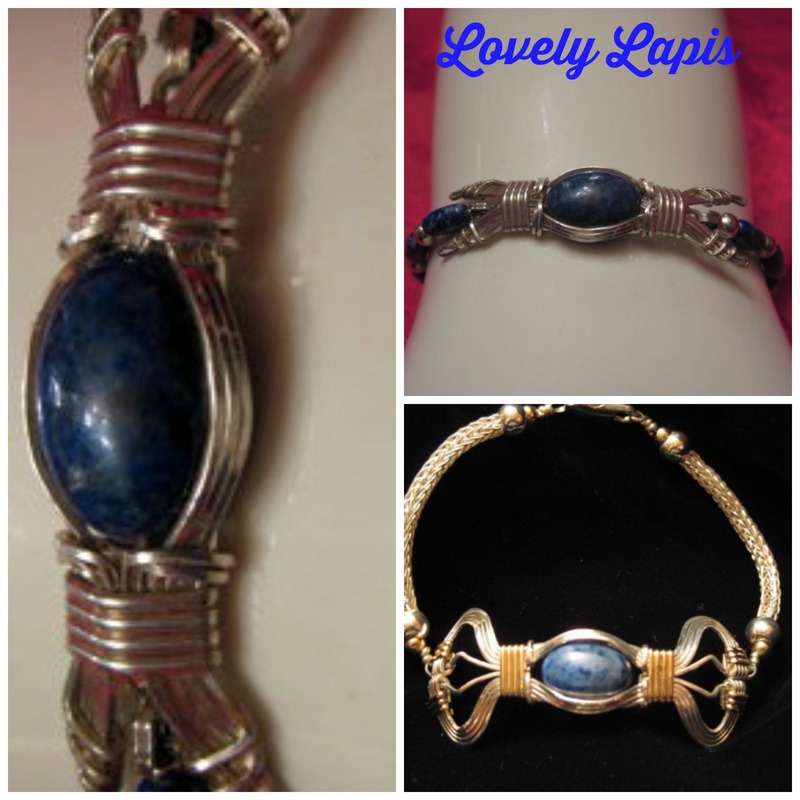 Lovely Lapis Jewelry by DoLoBo in lovely blue cabochon offset by the artisan’s wire wrapping skills. 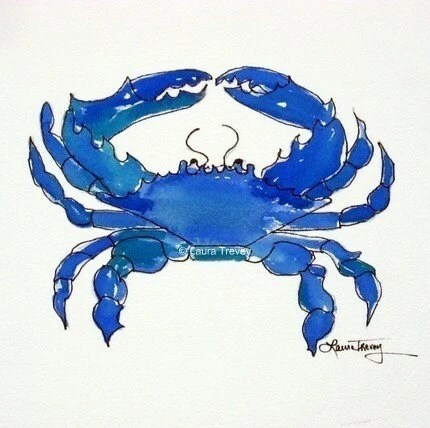 Two designs by Baltimore artist Donald Louis Booker who enjoys using ancient techniques dating back to Celtric times. Lower right: Viking Knit Bracelet sets off the center cabachon with a touch of gold filled wire. Part of the Droghenda Collection. . $$ sold….. If you like handmade, rainbows, and Etsy, you will love this Fimo Clay creation from Tash Tash Jewelry. For only $8.20 USD this necklace would look great for someone artsy, don’t you think? In her shop you will find earrings, bracelets, necklace, earrings and other handmade creations. The artist’s medium is clay. Ironically, this necklace looks wayyyyyy too real to be clay. Alena says “I don’t use any modeling molds or anything, it’s all handmade.” Amazing! 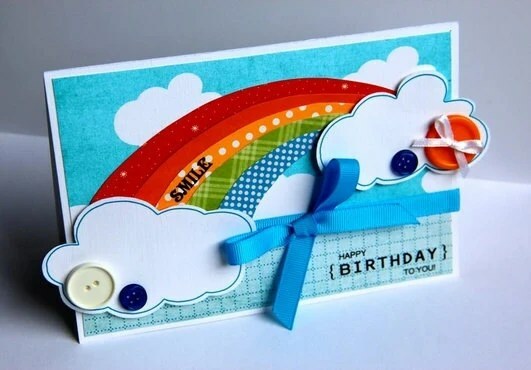 Handmade Greeting Cards by Anastasia Pruce on Etsy are lovely and colorful. 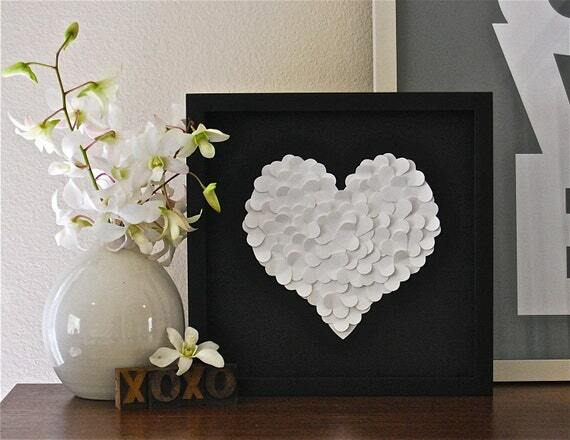 White paper heart is the cat’s meow, created of layered paper this heart pops off the frame and into your love life. Would look great on the wall, table, or as a gift for weddings or Valentine’s Day. Maybe just to say I love you. 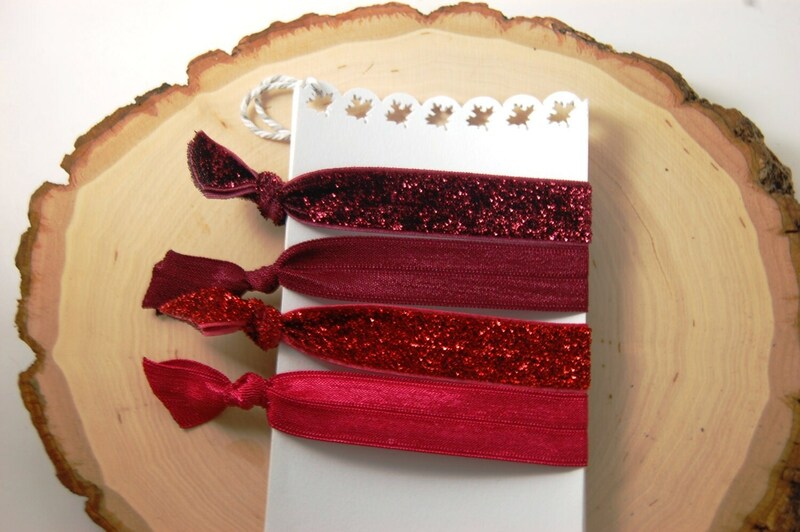 This is $52 and available in the hearts section of the SugaredSweet shop. Update: as of May 2017 this store is no longer on Etsy, links have been removed, but this is just a great example of the cute things you can find on Etsy! We have to agree. The color is wonderful! She has many colors in stock! This post hand curated by Design-Swag! 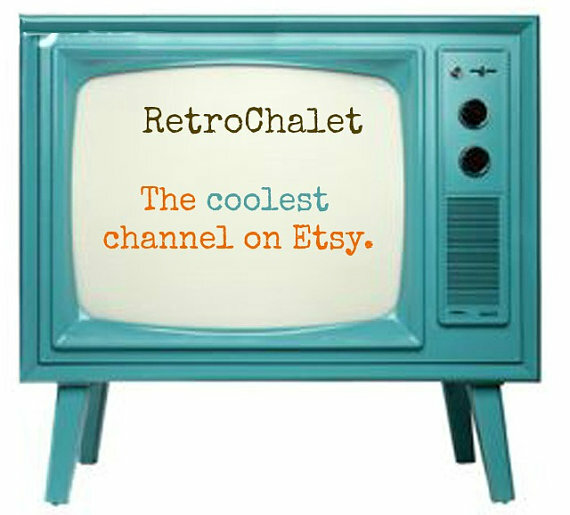 I simply love the colorful creations in Etsy shop “Cute Little Canvases” . What you are looking at here are unique and custom made decoupaged Lotka bottles. Each one is one of a kind and all are very colorful. If you are looking for a particular color this should be no problem as the shop owner Danielle has them in every color of the rainbow. Bottles average $20-$25 affordable, and are simply adorable. Her feedback is lovely and these bottles would look simply lovely with a single rose or even a fake flower on your desk or in your design studio. Add some color to your life! 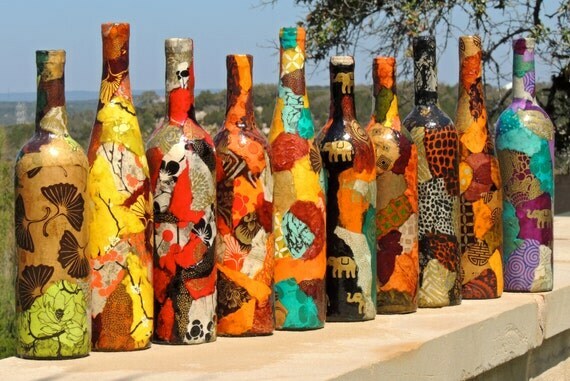 Feel good about owning an upcycled bottle! Connect with her on Facebook and Twitter also!